Yup, Christmas is right around the corner. And it’s coming with full force. 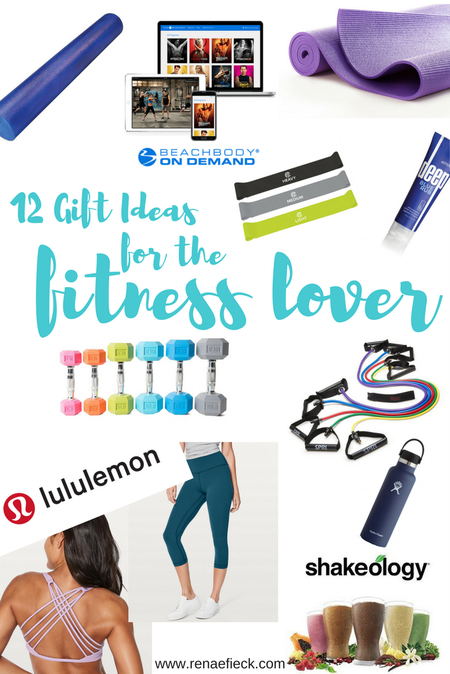 Being a mama and a fitness lover, and also on a path to semi-minimalism, I want any gifts I give or recommend to be FULLY functional and useful. But it’s also fun to have a little pizzazz! Hydroflask A good water bottle is essential! We need so much water in a day and if we LOVE what we’re drinking from, we’ll drink way more! Straws are always my favorite! New Workout Clothes I’m simple and frugal most the time but I love getting a pair of nice new leggings, sports bra, or tank. And lululemon and athleta both have amazing workout wear! Colored & Coated Barbell I mean really? These weights just make me want to go lift! Beachbody on Demand This is THE way to go for fitness and sanity for a mom with young kids. No worries about child care and moms can not only feel better physically, gain more energy, but also create some space for a little self care. Yoga Mat One thing I’ve learned is that, yoga mats can get dirty, stinky and a little beat up over time. Getting a fresh new one is always fun! Recover and Energize Performance Supplements This pair of supplements gives me both energy without the jitters of caffeine and helps my muscles recover after a difficult workout. Like, when I know I’ve pushed it hard, I ALWAYS drink Recover! Foam Roller I didn’t get this tool at first. But when effectively used….oh man! It can stretch out the myofascia and muscles and help you recover and push harder! Shakeology Ok….this IS my secret weapon for curbing cravings. It’s more than a protein drink and is intended to fill your body with dense superfoods nutrition so that you can get more out of your workouts and well, just life in general. Resistance Loops and Bands These are simple, easy, light weight, and SUPER effective! They are super great for the traveling fitness fan as well as anyone just wanting to step up their game! Massage or Pedicure: This always goes a long way with any fitness lover! Doterra Deep Blue This stuff feels like icy hot but it’s made with essential oils! It soothes those deep achy muscles like nothing else! And the smell is just blissful!And whenever shopping online, make sure you use EBATES. Not only do you get cash back but they’ll search for any coupon codes for you. It’s super awesome!What would be on your wishlist? Affiliate Disclosure: I’m a huge believer in transparency and authenticity and so I am disclosing that I’ve included certain products and links to those products on this site that I will earn an affiliate commission for any purchases you make. These commissions help enable me to provide more and expand my services for you! So thanks for your support!